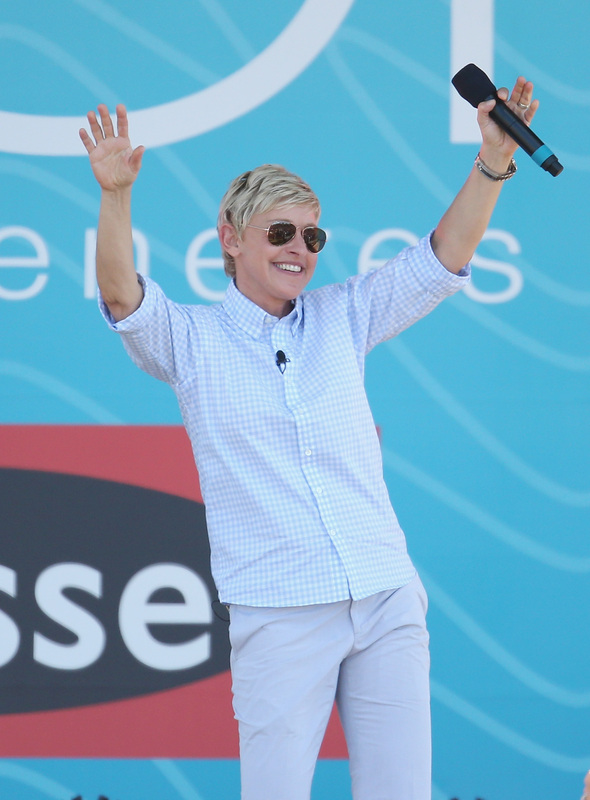 Oh happy day: It's Ellen Degeneres birthday! She's 56 and still looks as amazing as ever. We thought what better way to honor her special day than to showcase her A+ dancing skills? Ever since starting her show she's made dancing her thing, showing off her amazing moves at the beginning of each segment. Her affinity for dancing has spread to include segments where she dances with the audience, has people teach her new moves on the show, and she even started the Dance Dare, a prank that included taping yourself dancing behind people in public without their knowledge. As our other favorite dancer Tom Hiddleston says, "Never, ever let anyone tell you what you can and can't do. Prove the cynics wrong. Pity them, for they have no imagination. The sky's the limit. Your sky, your limit. Now, let's dance." And so we're gonna kick off this celebration of Ellen's dancing with a compilation of a young Ellen Degeneres popping and locking to hits like "Get the Party Started" by P!nk, and Rose Royce's "Working at the Car Wash." Enjoy. Most recently Degeneres was caught dancing in her Oscar promo video and if this is a taste of what's to come when she hosts the Academy Awards, we can't wait. So happy birthday Ellen! We hope you're doing lots of dancing tonight.